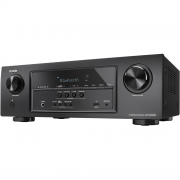 The perfect solution for demanding Home Theatre Starters, is the Denon AVR-S530BT 5.2 Ch AV Receiver with Bluetooth . 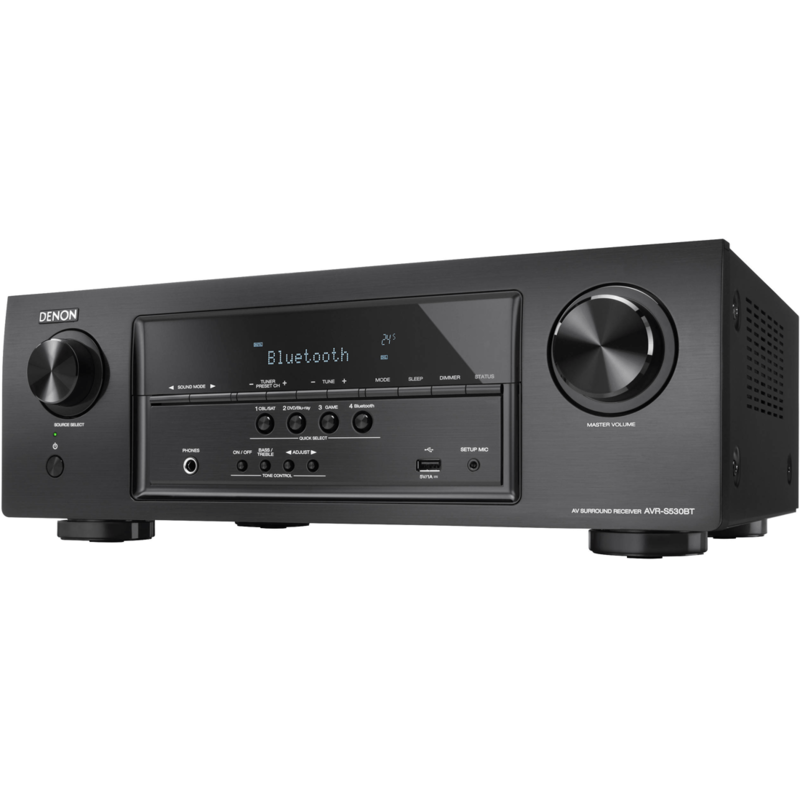 Representing the perfect combination of high performance and high value, the Denon AVR-S530BT delivers superb sonic fidelity along with a host of advanced features including full 4K compatibility, HDR (High Dynamic Range), and ARC (Audio Return Channel) for the complete home theater experience. 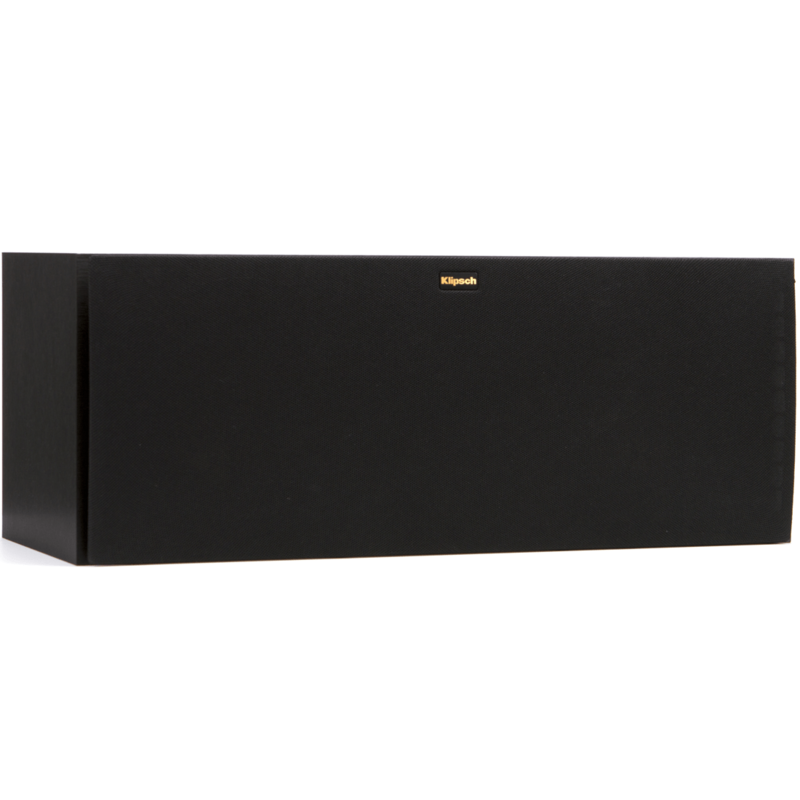 Thanks to built-in Bluetooth, the AVRS530BT receives your favorite music wirelessly from any compatible device, and the dedicated Denon 500 Series Bluetooth remote app offers unique control options from your smartphone. 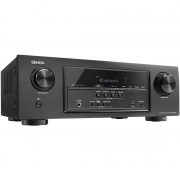 Featuring high current discrete power output devices on all channels, the Denon AVR-S530BT delivers high power and is rated at a maximum of 140 watts per channel. There’s also an Auto Eco mode that adjusts the maximum power available according to the volume level. 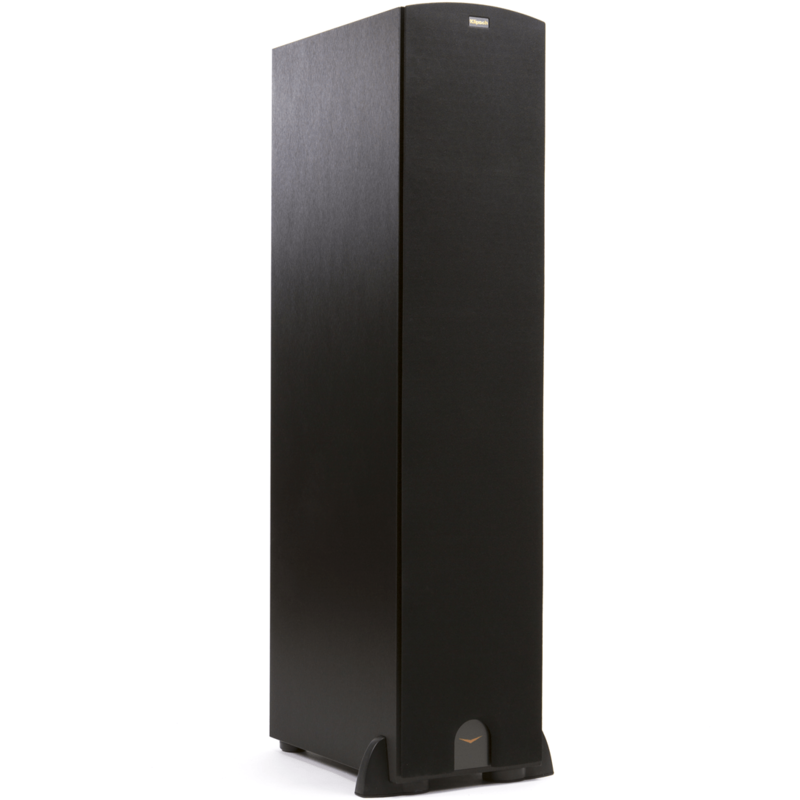 For compatibility with the widest range of loudspeakers the Denon AVR-S530BT is equipped with low impedance drive capability that provides operational stability with 6 ohm speakers. 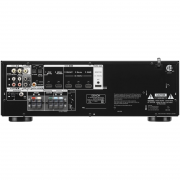 Equipped with 5 HDMI inputs, the Denon AVR-S530BT features support for 4K Ultra HD full frame rate 60 Hz pass-through on 3 inputs along with 4:4:4 Pure Color sub-sampling, HDR, and BT.2020 passthrough on all HDMI inputs. It’s also equipped with HDCP 2.2 signal handling, a requirement for 4K Ultra HD copy-protected content. Thanks to built-in Bluetooth, you can easily stream your music from any compatible Bluetooth phone, tablet or computer. Simply select the Denon AVR-S530BT from your device’s Bluetooth menu to turn on the receiver and start playing your music. The AVR can remember up to 8 paired Bluetooth devices, so family and friends can listen to their favorite tracks. For ease of setup, the Denon AVR-S530BT comes with a setup measuring microphone that adjusts critical system parameters for top audio fidelity custom-tailored for your speaker system and listening space. 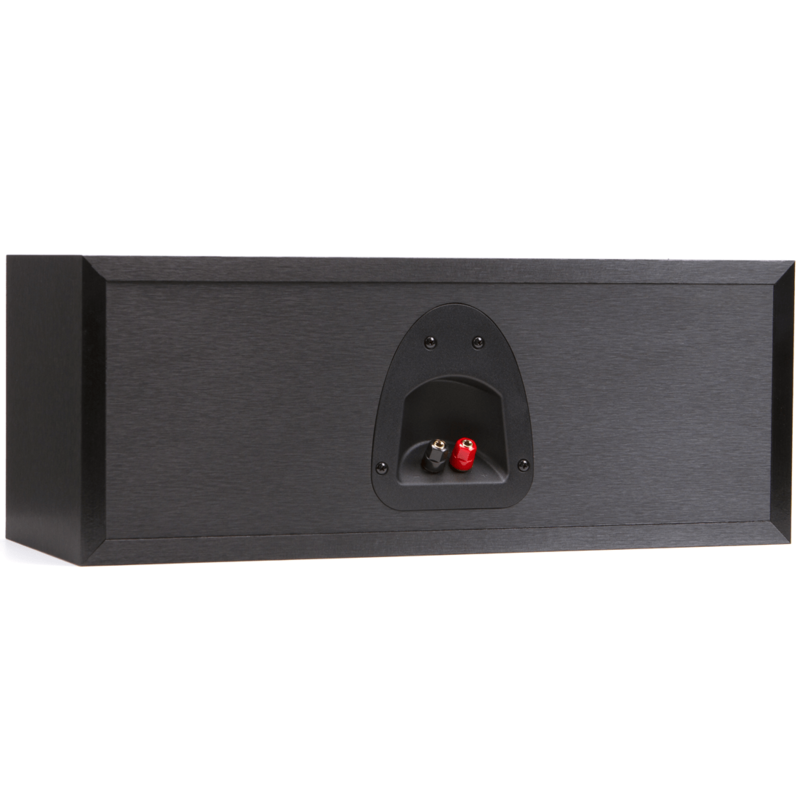 It has color coded loudspeaker terminals, and comes with color coded speaker labels that help ensure correct speaker cable hookups the very first time. With our exclusive Setup Assistant along with the Quick Start Guide, you can connect and configure your home theater system quickly and easily. The Setup Assistant features clear on-screen text that quickly and easily guide you through the setup process, optimizing critical system settings for the best possible sound quality. The Denon AVR-S530BT’s front panel features 4 Quick Select function buttons so you can quickly choose from the most popular sources and the system remembers your preferred audio settings for each one. The ergonomic remote control also features dedicated Quick Select buttons. And when you connect the Denon AVR-S530BT to your Smart TV you have the option of controlling the AVR via the TV’s remote control which lets you select an input, adjust the volume and choose the surround sound mode. Download the 500 Series Denon Remote app and control your Denon AVR-S530BT from your Bluetooth device. Functions include On/Off, Volume Up/Down, Mute and Source Selection. The app is available for both iOS and Android. 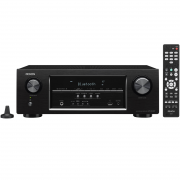 Connect the HEOS Link (sold separately) to the AVR-S530BT and download the fee HEOS app to enjoy access to unlimited music sources, an intuitive remote app. 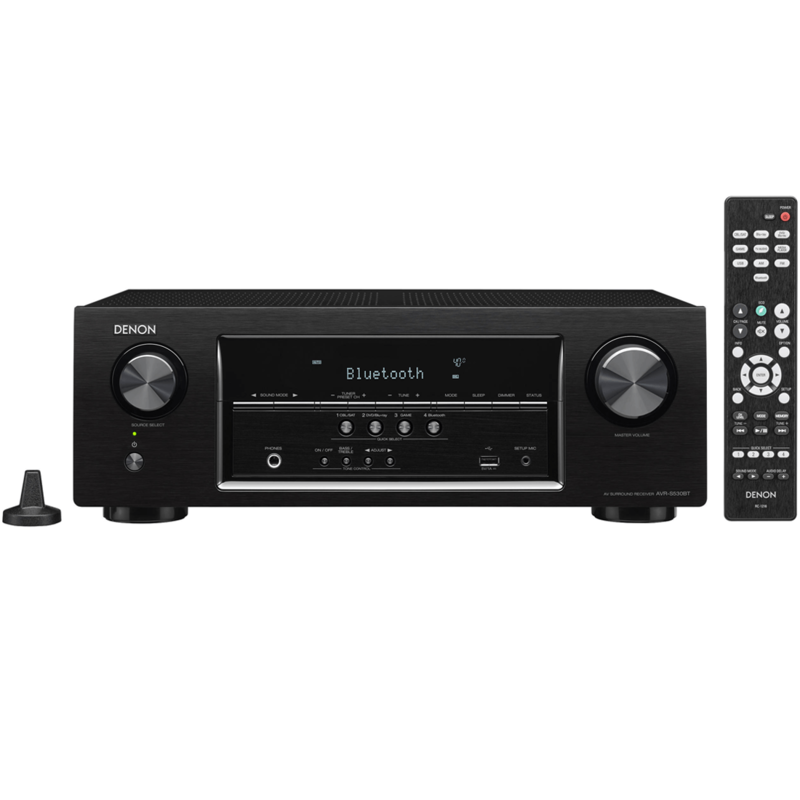 Your Denon AVR-S530BT will become a part of HEOS wireless multi-room audio entertainment. 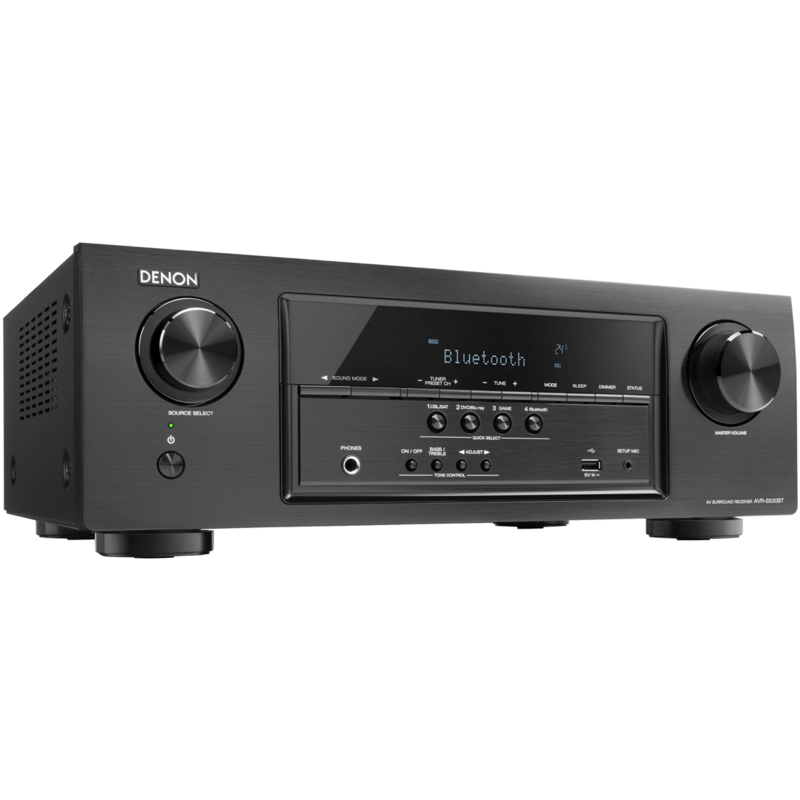 In addition to numerous analog and digital AV connectors, the Denon AVR-S530BT features a convenient USB port on the front panel that’s compatible with portable USB devices, and can play back a wide range of audio file types including MP3, WMA, FLAC and MPEG-4/AAC tracks. 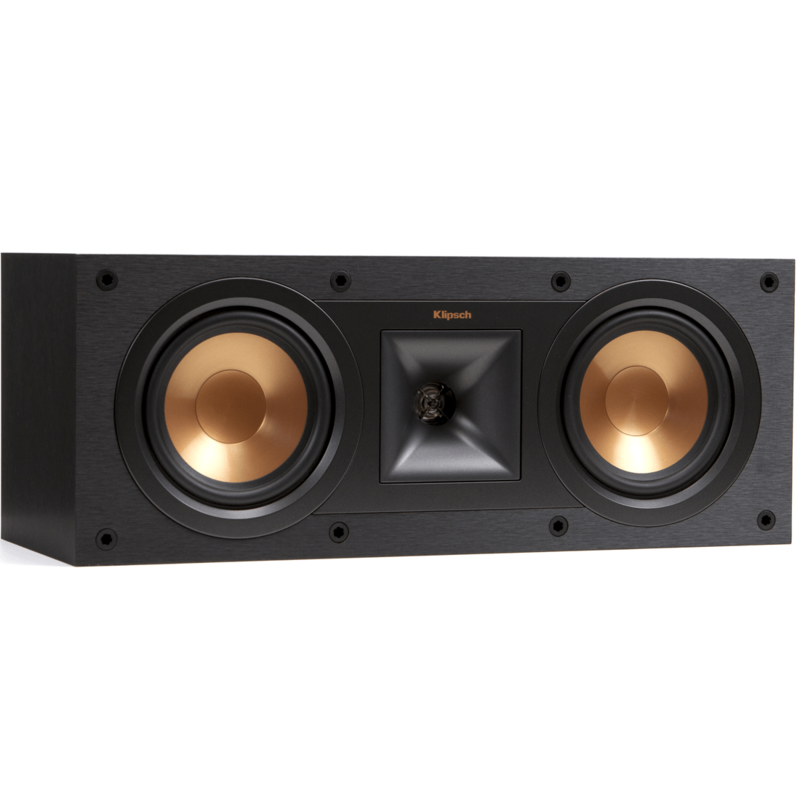 This Klipsch R-28F is Priced and Sold as a Pair. 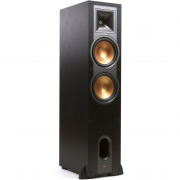 The Klipsch R-28F floorstanding speaker is the mightiest high-performance option. It features dual 8″ copper-spun woofers, and a dynamic 1″ aluminum horn-loaded tweeter, making this behemoth floorstanding speaker is the ultimate choice for anyone truly serious about their movies and music. 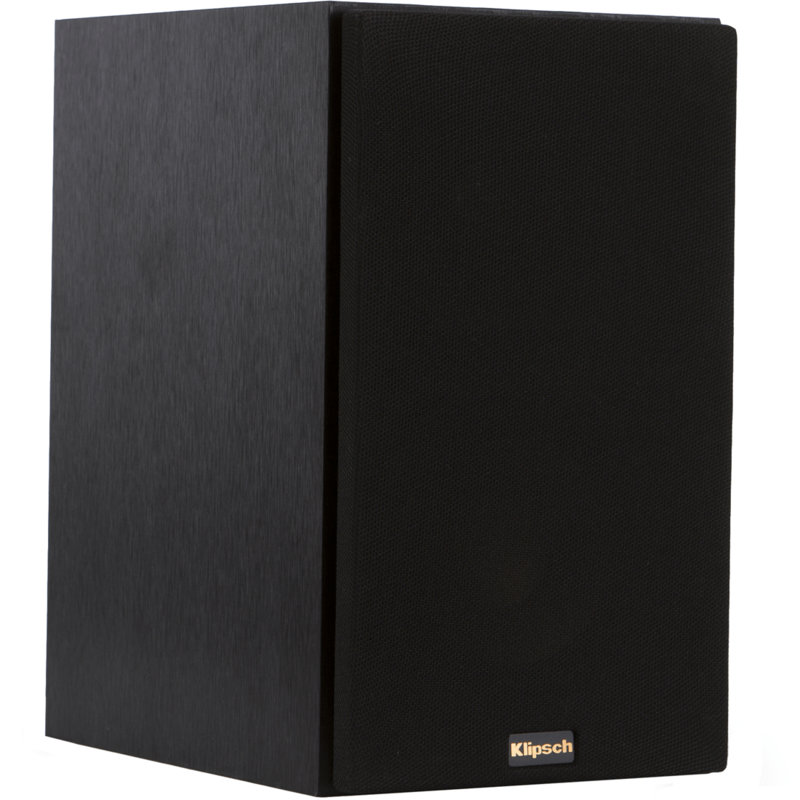 The Klipsch R-28F effortlessly fills medium to large rooms with powerful, lifelike performances. The highly efficient design allows for the it to produce louder, more accurate output, while also using less energy than the competition. 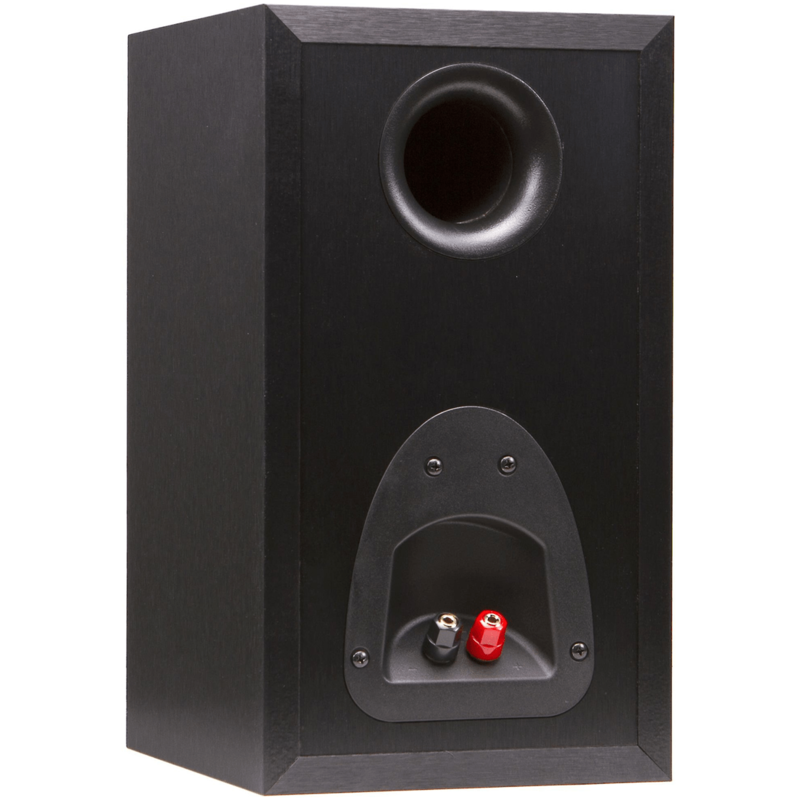 This speaker is the perfect choice for anyone who is serious about their movies and music. 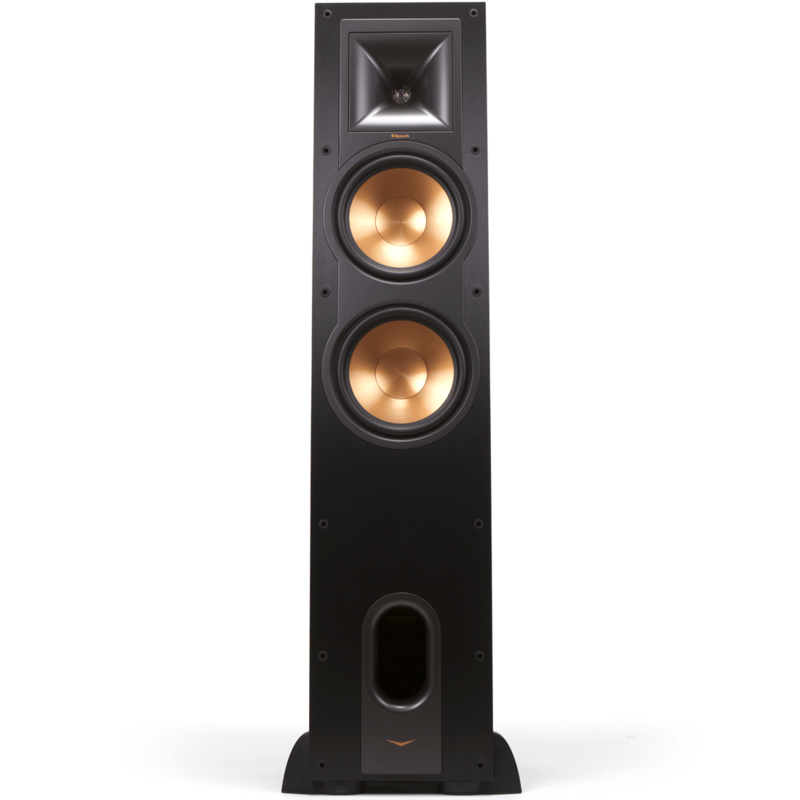 Klipsch Reference floorstanding speakers feature our proprietary 90×90 Tractrix Horn technology mated with an aluminum tweeter, for the most impressive high-end response and greater extension, enhanced imaging and powerful dynamics. This creates the cleanest, most natural sound possible. 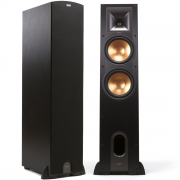 The Linear Travel Suspension (LTS) tweeter minimizes distortion for enhanced, detailed performance while the copper-spun Injection Molded Graphite (IMG) woofer provides remarkable low-frequency response with minimal cone breakup and distortion. 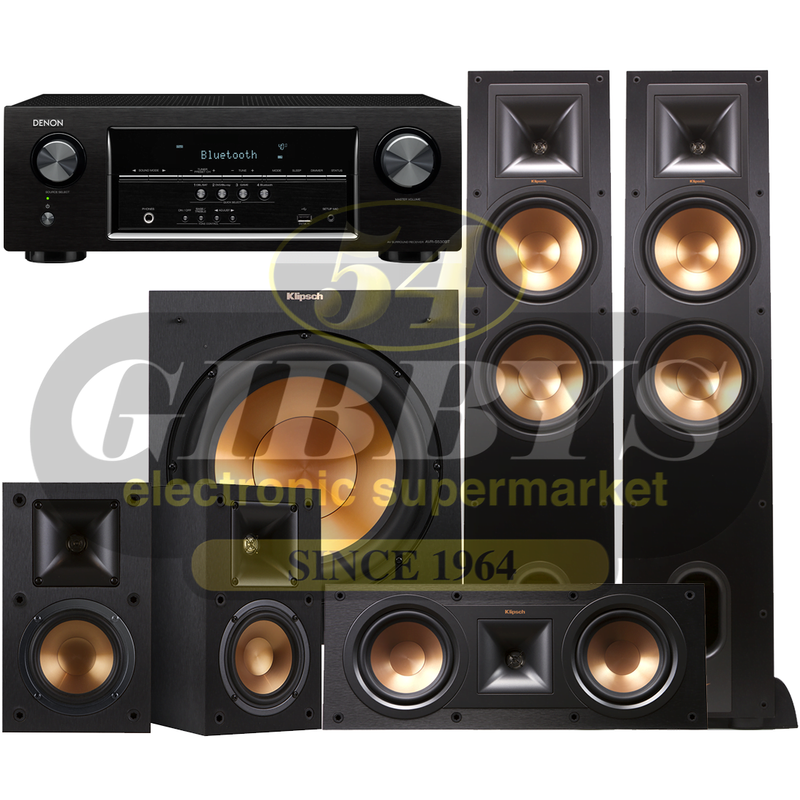 Pair together, it provides speaker efficiency highest in its class. 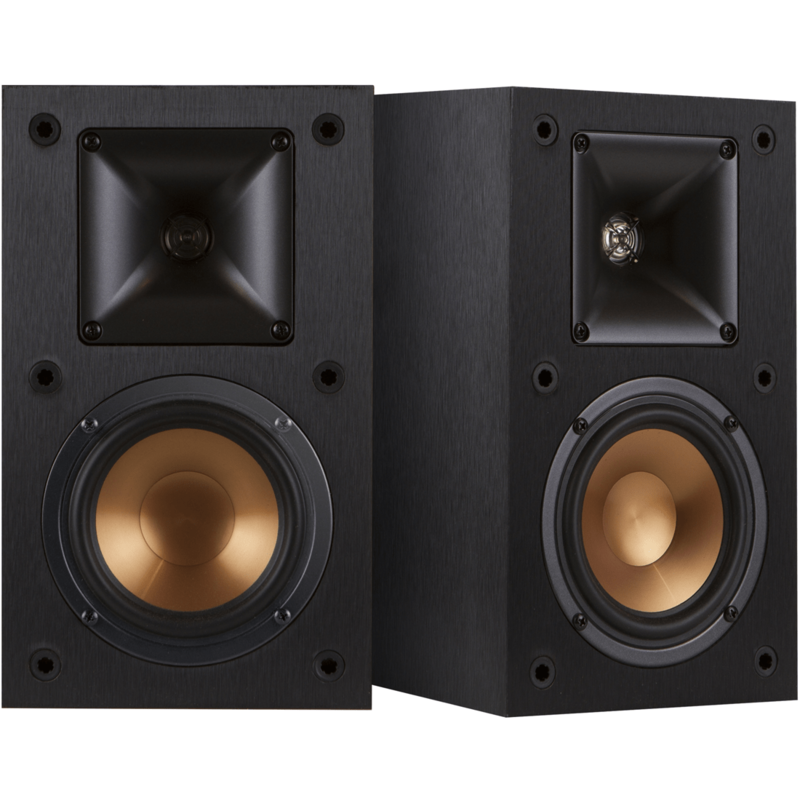 Klipsch Reference bookshelf speakers feature a rear-firing port that is perfectly matched to the cabinet and drivers. This design is precisely flared to minimize turbulence even at the lowest frequencies. 5-way binding posts provide the maximum connection flexibility. 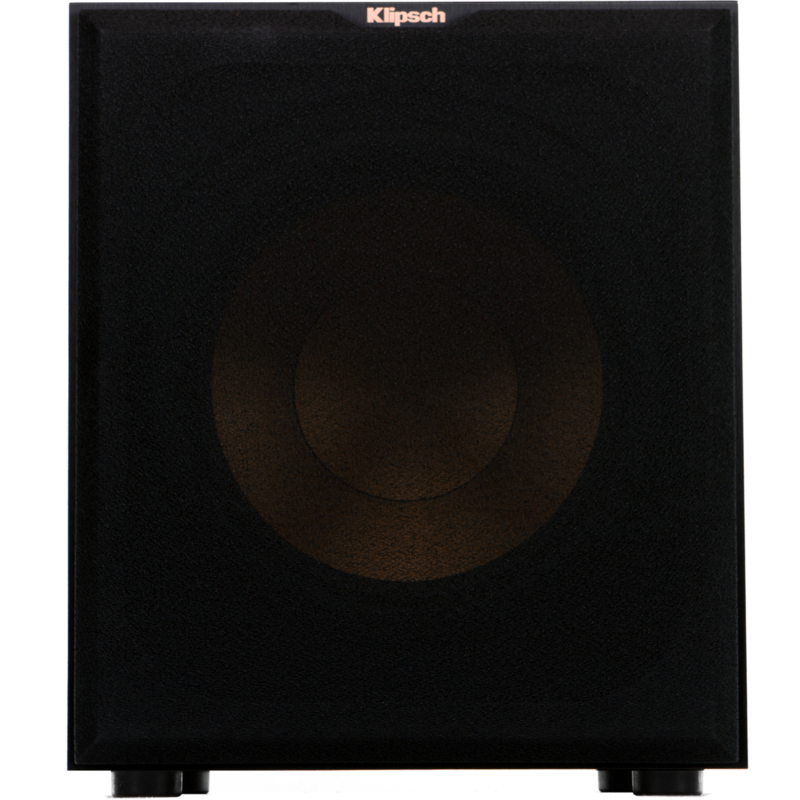 Finished in a brushed black polymer veneer, Klipsch Reference speakers let you hear what you’ve been missing. 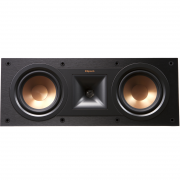 This Klipsch R-14M is Priced an Sold As A Pair. 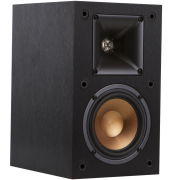 The Klipsch R-14M Bookshelf speaker packs a mean punch, even for its tiny size. 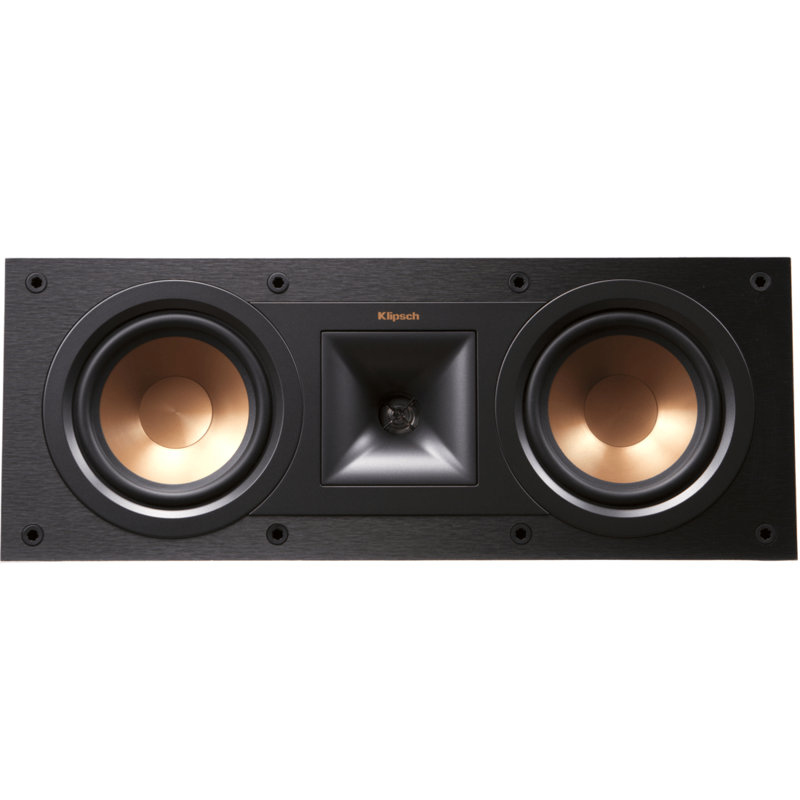 The Klipsch R-14M This little speaker features a 4″ copper-spun woofer, and a 1″ aluminum tweeter, delivering powerful yet efficient sound. 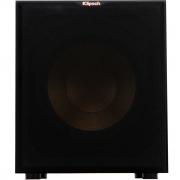 The Klipsch Bookshelf speaker can function as a left, center or right channel speaker. This lets you enjoy your favorite movies and music without sacrificing the space. 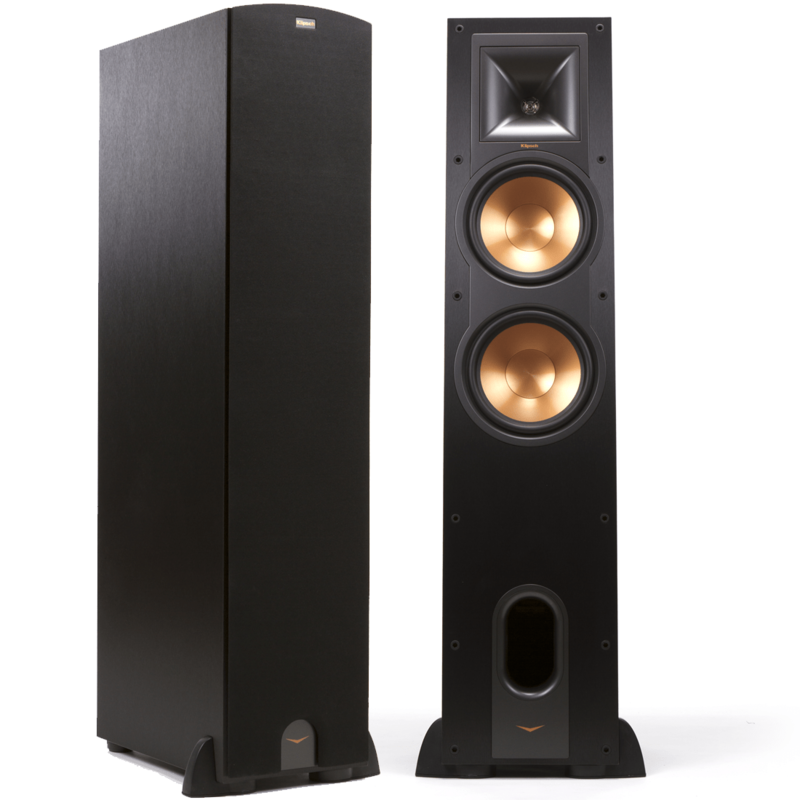 The KLipsch R-14M can easily fill a small to medium room with powerful, lifelike performances. 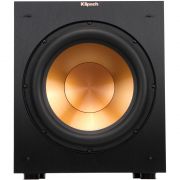 While the highly efficient design allows for the Klipsch R-14M to produce louder, more accurate output, while also using less energy than the competition. 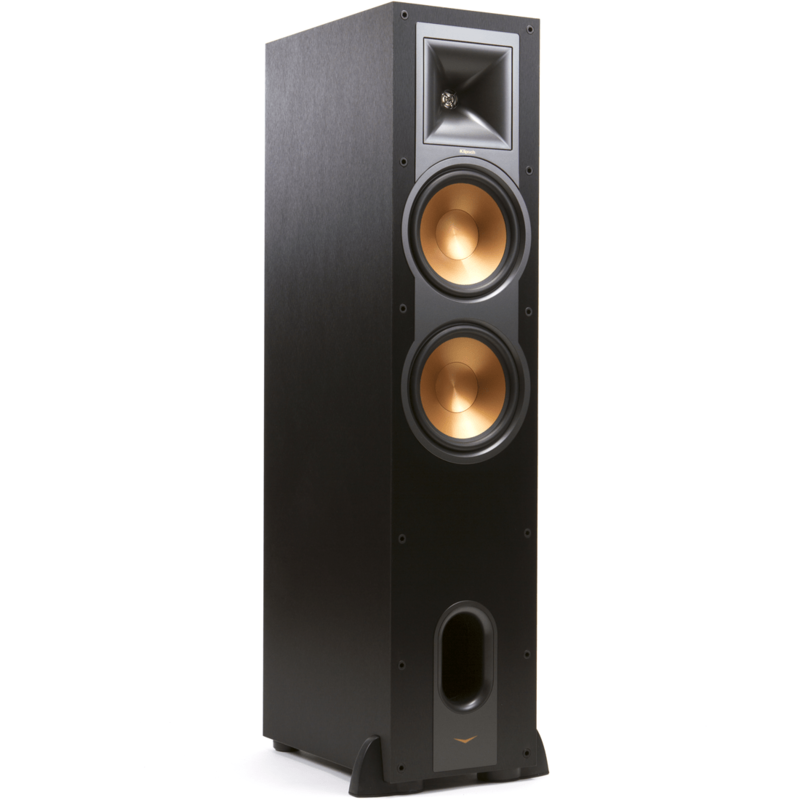 Klipsch Reference bookshelf speakers feature our proprietary 90×90 Tractrix Horn technology mated with an aluminum tweeter, for the most impressive high-end response and greater extension, enhanced imaging and powerful dynamics. This creates the cleanest, most natural sound possible. 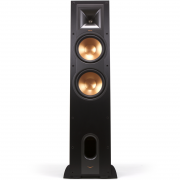 Our exclusive Tractrix Horn technology and aluminum tweeters deliver the most impressive high-end response and greater extension, enhanced imaging and powerful dynamics. 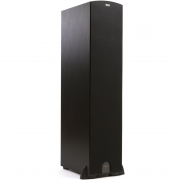 This creates the cleanest, most natural sound possible. Injection Molded Graphite (IMG) woofer is exceptionally light while being extremely rigid – providing remarkable low frequency response, with minimal cone breakup and distortion. 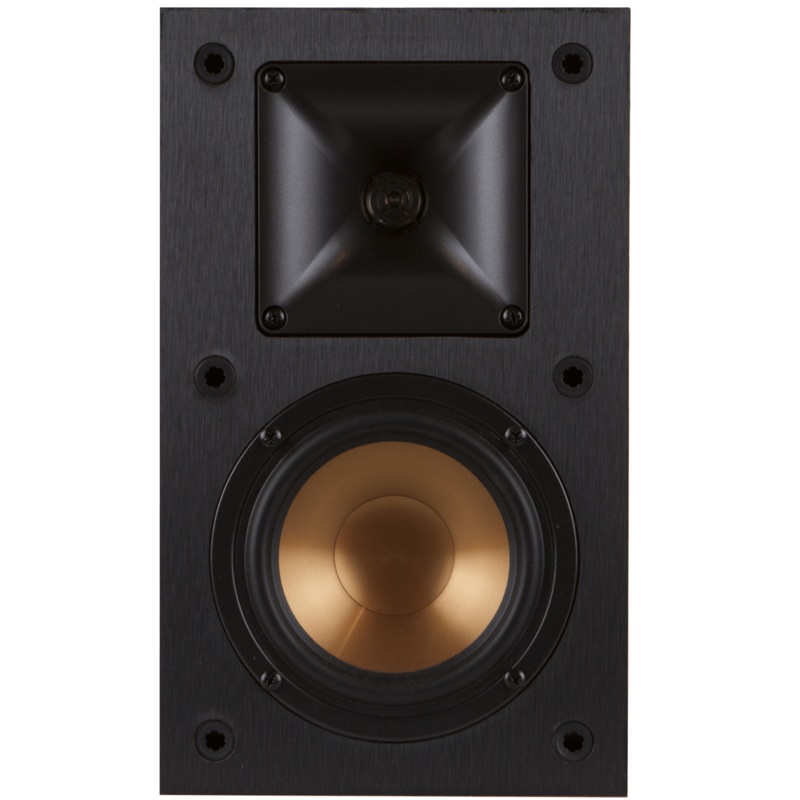 When paired with the Tractrix Horn-loaded LTS tweeter, it provides speaker efficiency highest in its class. Do you crave more bass? 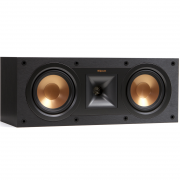 The hard-hitting Klipsch R-10SW has just what you need. This high-output powered sub boasts a potent 150-watt amplifier and a strong-yet-lightweight 10″ woofer designed to lay down a deep and detailed bass foundation. With the R-10SW in your system, you’ll hear and feel your movies, music, and video games come roaring to life in your living room. 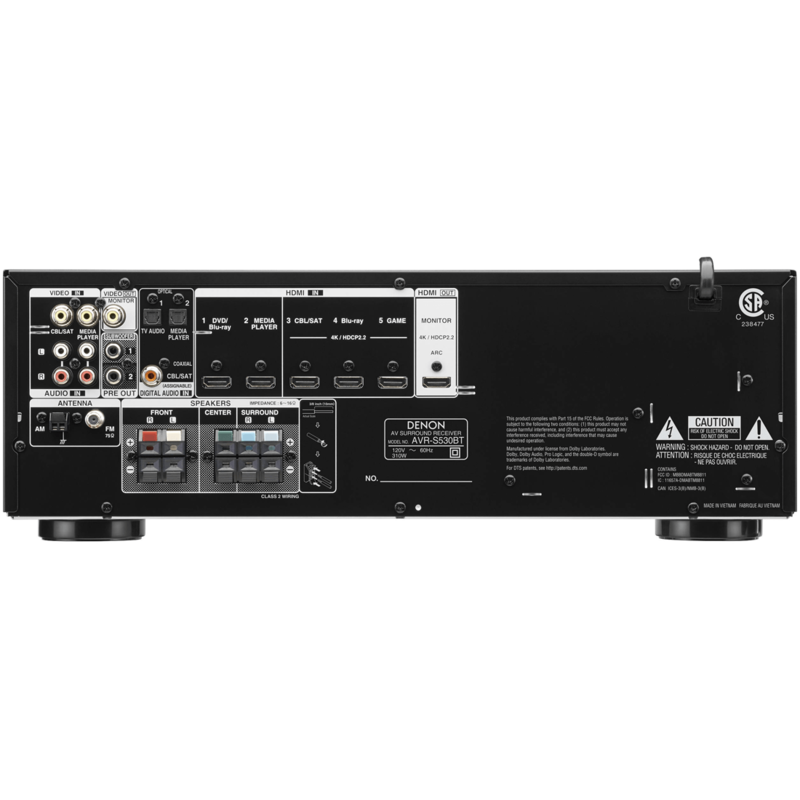 Line-level and LFE (Low-Frequency Effects) inputs let you easily connect the Klipsch R-10SW to almost any home theater or stereo receiver. 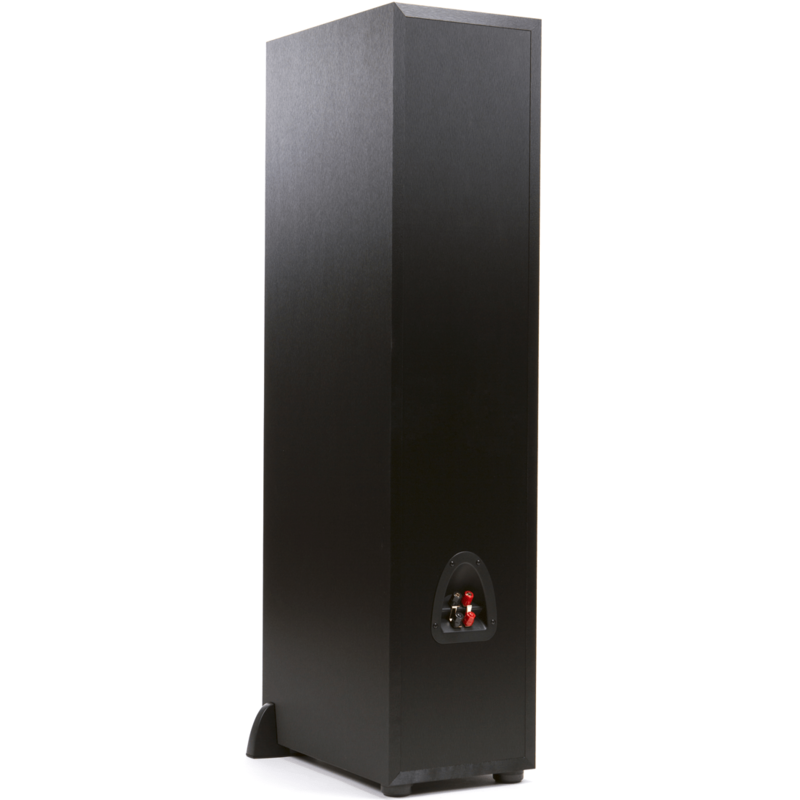 Its back-panel volume, crossover, and phase controls help you fine-tune the bass to your liking, and blend its sound into your system. 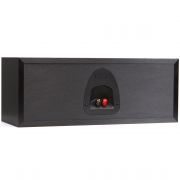 The sub comes housed in a durable MDF cabinet and finished with a brushed black polymer veneer. A front-mounted LED power indicator makes it easy to tell when the sub is powered up and ready to rock. 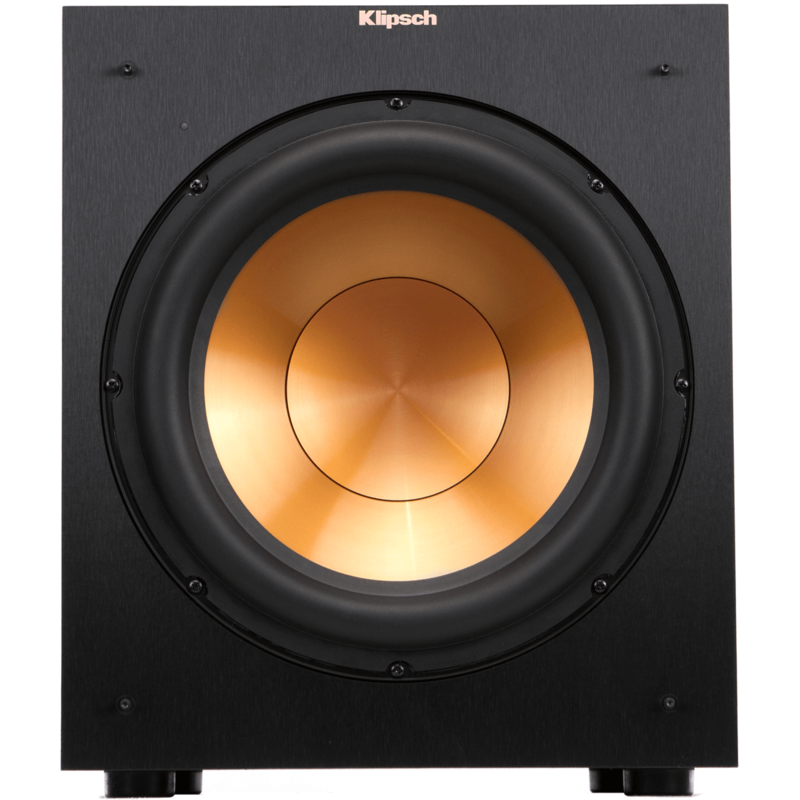 The Klipsch Reference series R-10SW powered sub is fitted with a powerful 10″ copper-spun IMG (injected molded graphite) front-firing woofer for deep bass. 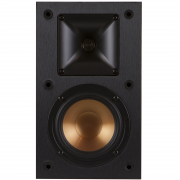 The copper-spun IMG woofer is exceptionally light while being extremely rigid, providing remarkable low frequency response with minimal cone breakup and distortion. 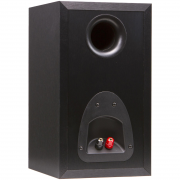 The front-firing woofer gives you greater placement flexibility than a down-firing woofer. 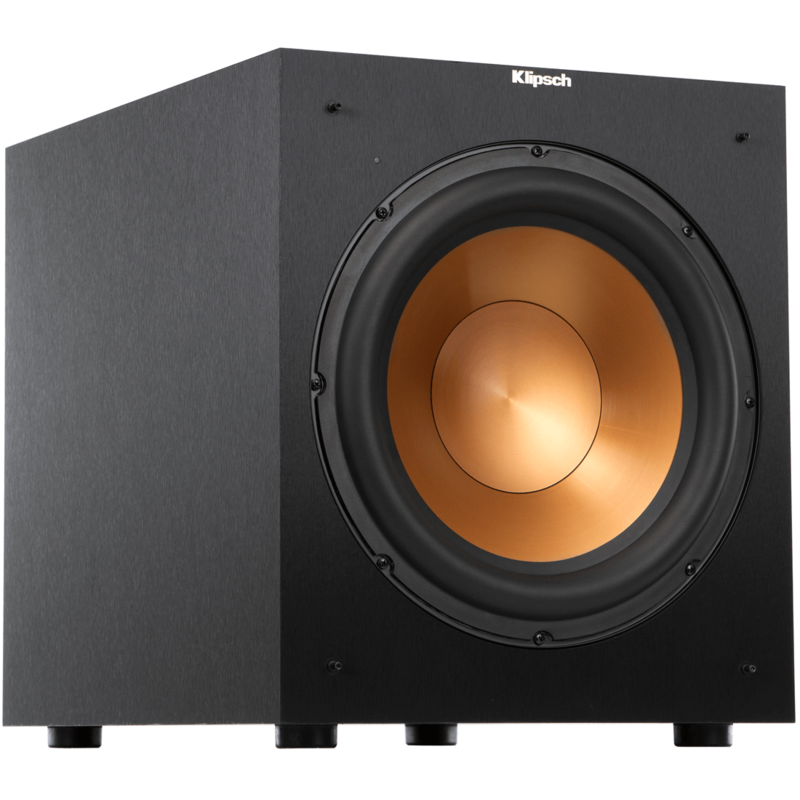 The Klipsch R-10SW powered sub employs an all-digital 150 watt RMS (300 watt Peak) amplifier for high efficiency and dynamic bass performance. 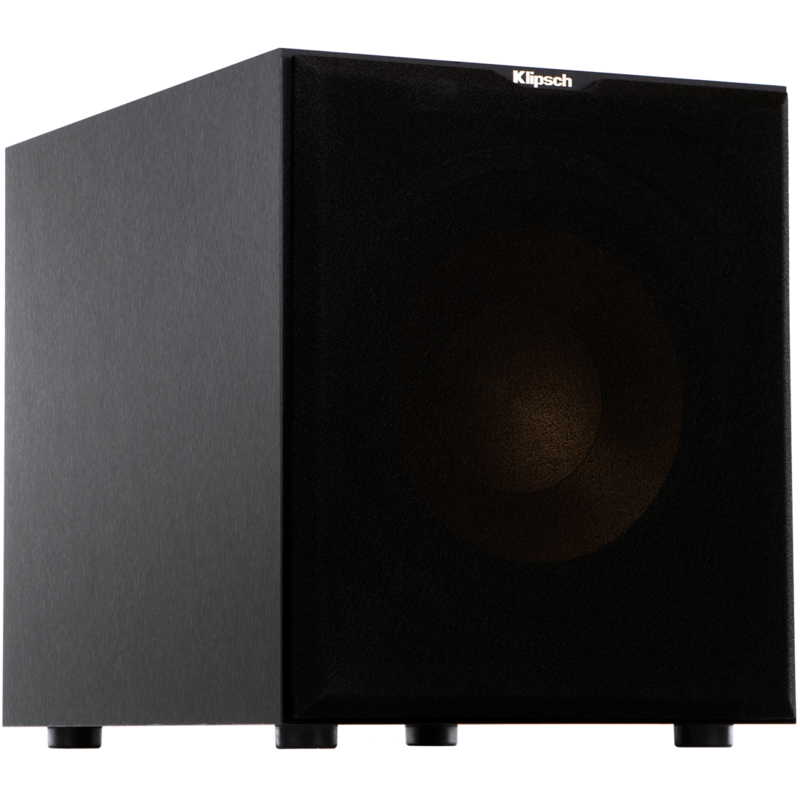 The Klipsch R-10SW is housed in a durable MDF cabinet and finished with a brushed black polymer veneer. 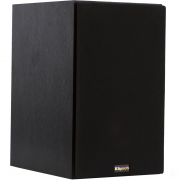 The MDF enclosure is rigid and protects against unwanted vibration and distortion. The front-mounted LED power indicator lets you know when the sub is powered on or off. The LED will light green when the powered subwoofer is on and receiving a signal. If the LED is dark and not lit, the powered sub is off. 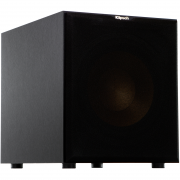 The powered subwoofer will automatically turn On when it senses an audio signal. It will automatically go into “Standby mode” after 15-20 minutes with no audio signal. You can also choose to turn the powered sub On or Off manually from the rear-switch on the back. 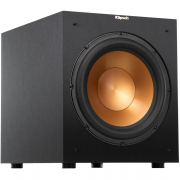 Klipsch powered subwoofers are designed to reproduce deep bass and deliver the impact that makes your movies and music come alive. 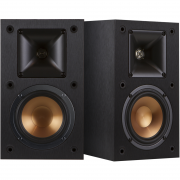 For optimum performance, place your subwoofer in a corner of the room on the same wall as your front channel speakers. 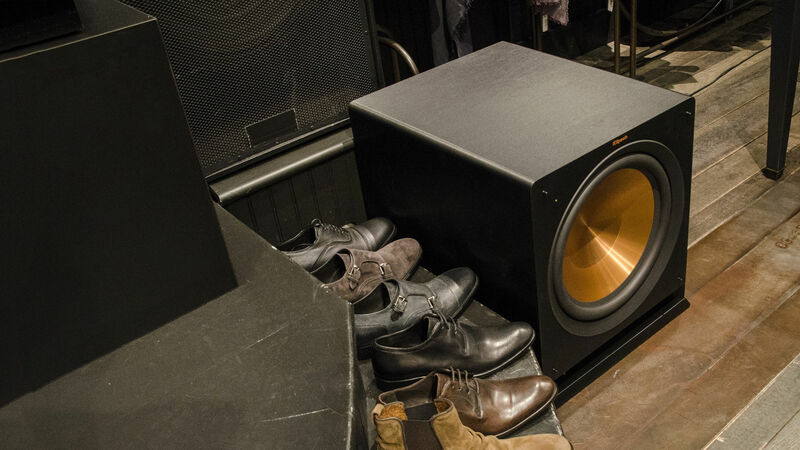 Please note that room placement can have a dramatic effect on the performance of your powered subwoofer. 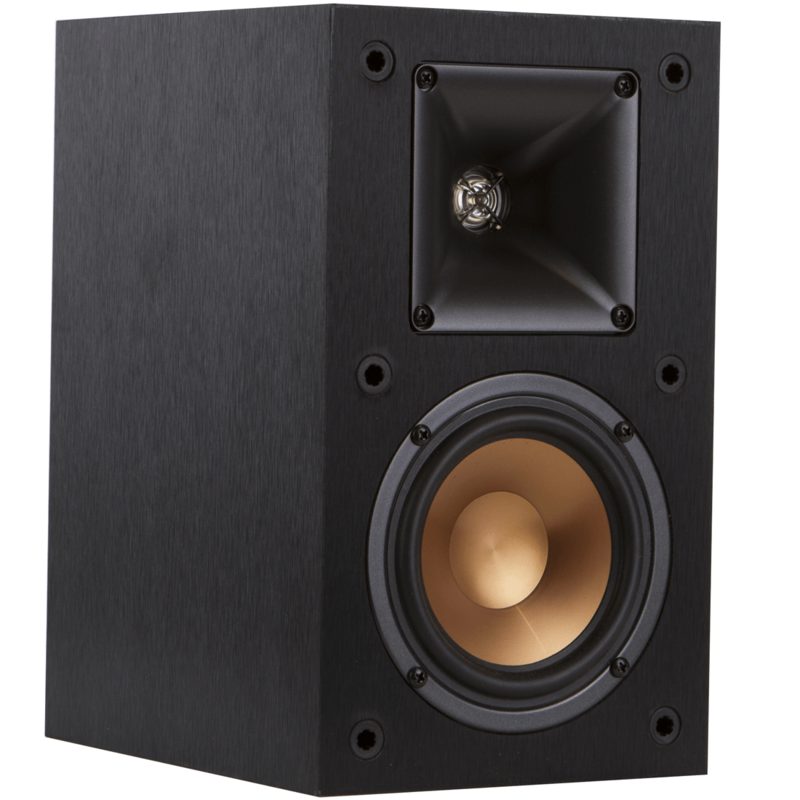 Corner placement, as suggested above, will increase the amount of bass output, while placing the subwoofer along the middle of a wall, or out in the room will decrease the amount of bass output.